With the amount of advertising that surrounds us all on a daily basis, it can be hard for small or local companies to get the exposure they need. At Elite Signs, we aim to change that. We can help you rise above the clutter of your competitors with high-quality vehicle wraps. 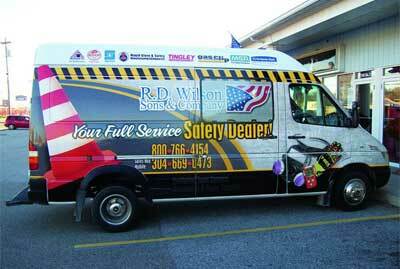 Graphics applied to a vehicle can increase the reach you have to potential customers everyday. In fact, vehicle wraps are known to pay for themselves in such a short amount of time because of how effective they can be! At Elite Signs, we take the time to work with you to create a custom look to fit your business. We use premium 3M wrap vinyl to ensure quality. Our vehicle wraps are one of a kind and will be sure to help your business stand out amongst the competition! The staff at Elite Signs understands how important branding and first impressions are to a small business. That is why we take the time to understand your company so we can use this information to design and create signage, logos, vehicle and window lettering, and other graphic designs that you can use to effectively reach your audience. 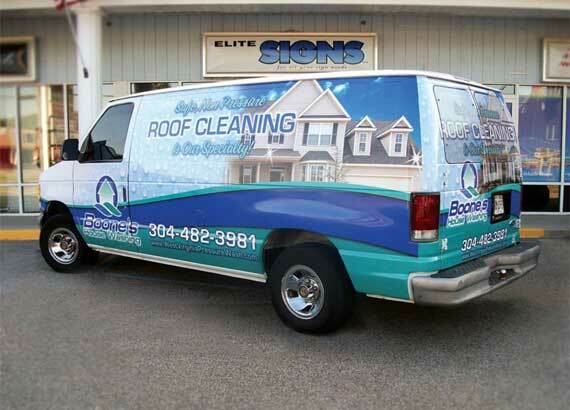 Vehicle wraps, for instance, are some of the most effective products that we have to offer, but we can provide you with virtually any type of advertising you may need. If you are starting a business in Athens, OH, or would simply like to grow your business in Parkersburg, WV, Elite Signs is the advertising agency to rely on. Our prompt, reliable services are all you need to rely on when you need vehicle wraps and other ads to effectively reach as wide of an audience as possible. The business community in the Ohio River Valley relies on Elite Signs LLC for the right kind of branding for the right price, so call on us today to get started on the design for your new vehicle wrap!